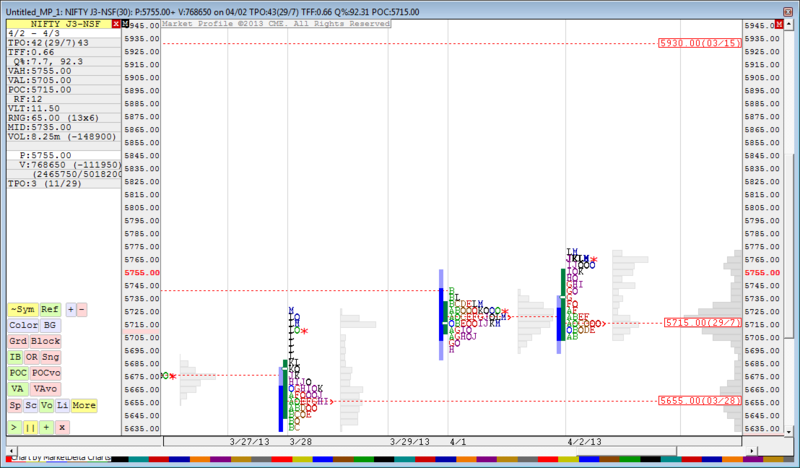 Nifty April Futures Daily Profile Charts are shown. Yesterday nifty had formed a double distribution Trend Day pattern. A double distribution trend day occurs when trading is light during the day followed by a sudden expansion of the initial balance by the longer term market participants later in the session. This one-time activity usually occurs into the afternoon session. This sudden change can be caused through fundamentals, news, economic reports, or just plain supply or demand. Iam using Market Delta for Market Profile and Footprint Profile Study. And iTrend Ribbon is only Free to view. Code not for public access or for sale. With a double distribution you have two VA and these must be taken as different VA, rather than taking the auto generated levels.